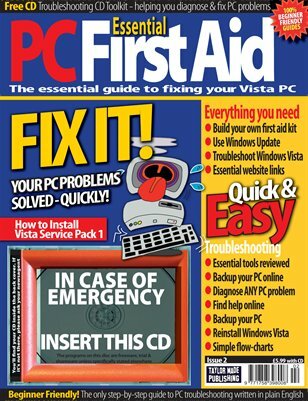 Essential PC First Aid is a jargon-free guide to helping you make the most of Windows. It addresses common PC problems with a friendly, step-by-step, approach. Issues 1 and 2 focus on Windows Vista; from issue 3 onwards the focus expands to cover the broader Windows market.